Ask anyone what the great American pastime is and, without hesitation, they’ll instantly tell you “baseball.” You’ll probably notice their eyes light up when they say the word, and it’s not hard to understand why. Every American knows the exhilaration of cheering their favorite team to victory. That’s because the history of baseball is an inseparable part of our history as a people. What’s more, the right books on baseball history can help you appreciate your favorite sport on a whole new level. Whether you prefer to watch your baseball at home with a cold beer in hand or make it a point to attend games in person, it goes without saying that baseball is something magical and special. It keeps you on the edge of your seat as you cheer on your favorite players. It makes you feel like you’re really part of something – something expansive, poignant, and important. That’s because you are. The history of the baseball game reaches almost as far back in time as American history itself, and the right books on the topic can help you appreciate your favorite sport on a whole new level. Learn all about the players and teams that made the sport great. Read up on the sport’s most groundbreaking matches and memorable moments. A baseball history book can introduce you to a whole new level of appreciation. Arcadia Publishing offers baseball enthusiasts access to one of the country’s largest and most respected catalogs on baseball history. 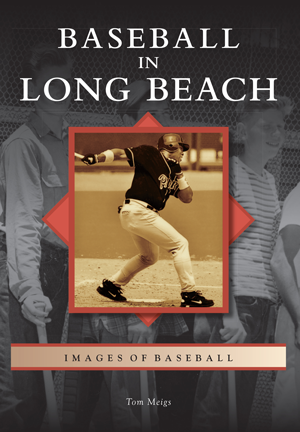 Explore regional interest titles all about the players that made the sport what it is today. Learn fascinating details and little known facts about why the greatest games in history were so important. You’ll learn to appreciate baseball on a whole new level!